This job opportunity is with a very busy Letting Agency, they are looking for someone who is keen to learn new skills and become part of their small team. This company is based near Edinburgh Town Centre. No experience is required, but having some office experience would be a benefit, the client is offering full training within the job role, the job consists of liaising with colleagues and visitors, via telephone, email and face-to-face photocopying documents, which may contain confidential information, scanning documents, filing, greeting visitors,and any other tasks as required. We will also help the successful person to achieve a funded Modern Apprenticeship in Business and Administration, which is gained within the job role. 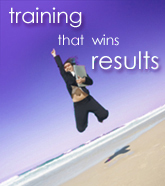 RTL is an Equal Opportunities Employer and Training Provider.